Ugly Christmas sweaters are all the rage right now. Seems like you can purchase them anywhere, not just at the second-hand store or by raiding your mother's or grandmother's closets for sweaters from yesteryear. 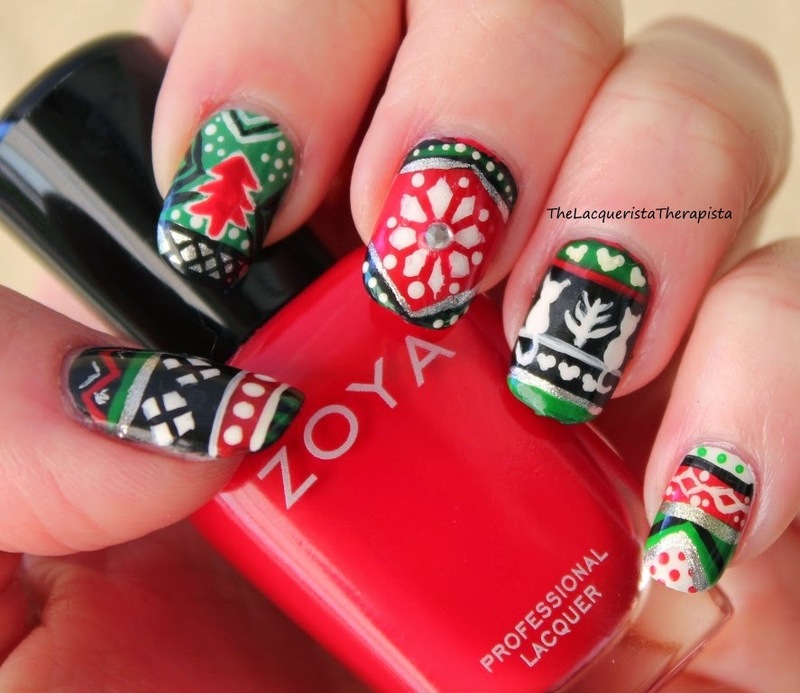 These sweaters have become one of my favorite parts about Christmas these days so why not have them on your nails, too? I free-handed each nail for this (well, except for a little tape on the middle finger to help make the snowflake lines a little straighter). It's actually from last Christmas, but I hadn't started blogging yet. Couldn't let these go unblogged! I wave my crazy cat lady flag high and proud as you can see on my ring finger. Cat-themed Christmas sweaters are my favorite. As you may suspect, this was incredibly time consuming, but so much fun. 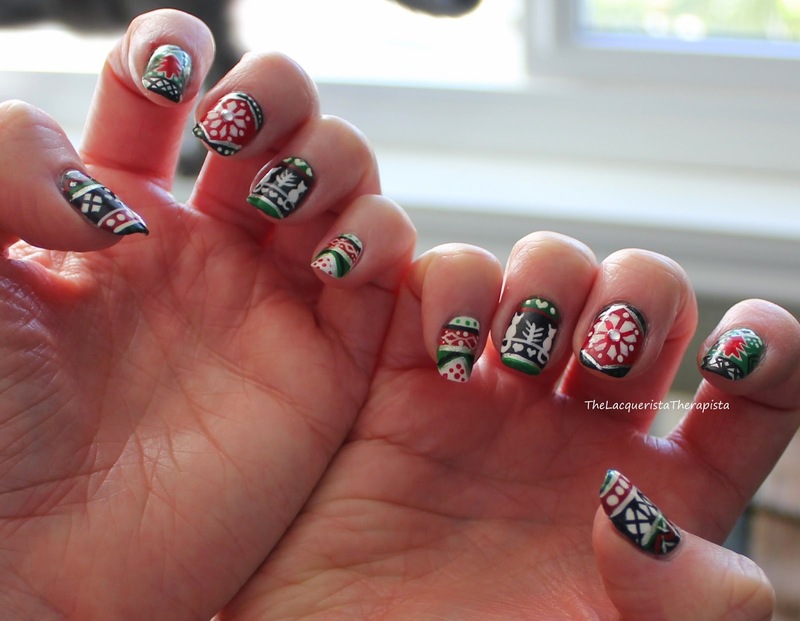 I think it might be interesting to do another free-hand ugly Christmas sweater mani this year for comparison. 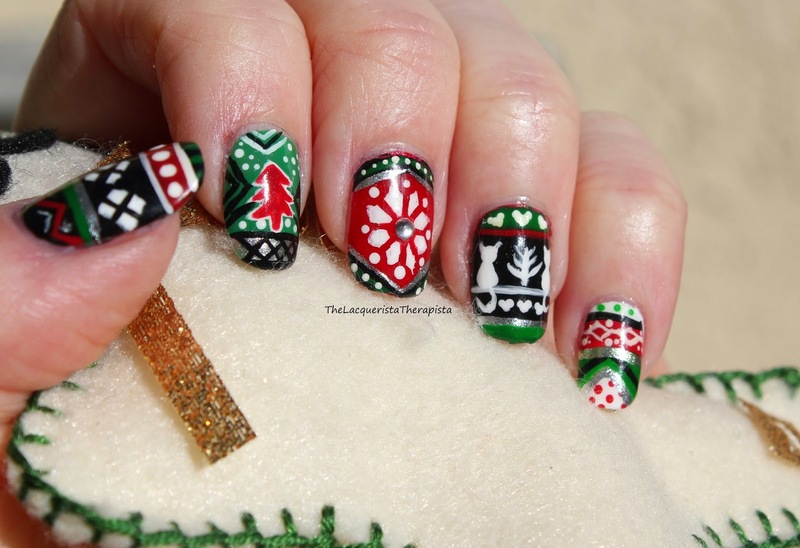 On the other hand, I just got a new stamping plate with Christmas sweater designs on it. Might opt for convenience this year. We'll see.